The summer carnival, celebrated for the third time this year, gives a taste of the foolish time in Tenerife. 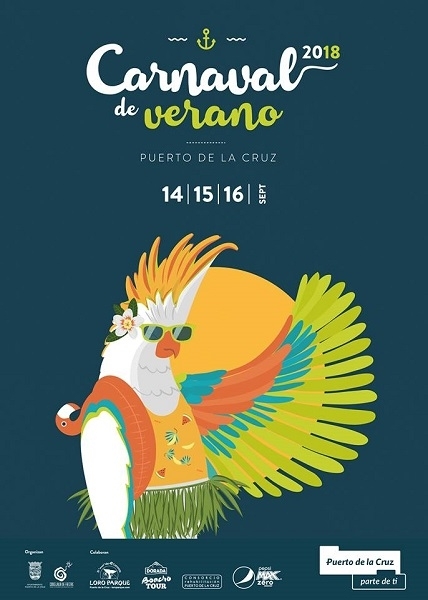 The carnival atmosphere in the middle of summer could only happen in Puerto de la Cruz. It begins on Friday, with a procession from San Telmo to Plaza Europa. There from 8pm to 10pm the typical singing groups will entertain the public and afterwards there will be dancing. On Saturday from 8pm the popular men's race in high heels "Mascarita ponte Tacón" will be brought to life. They walk (or try to) from San Telmo to Plaza Europa. There you can party from 10pm to 5am with the bands Poupie, Salvapantallas, Henry Méndez and Dinacord providing the best atmosphere. This dance evening has the motto 'Costume with swimming aid'. On Sunday the carnival runs from 12pm to 2pm and from 4pm to 6pm with fun for all the family. Produced with news.CMS in 0,0773 seconds.